Cassia obovata is used to condition the hair and add small amounts of subtle red tones. Also works to lighten other colors. VIP Members = 25% off! You get NO color from this product. It is strictly a conditioning treatment for your hair. As long as it is left on for no more than one hour. Condition your hair for strength, shine and health. 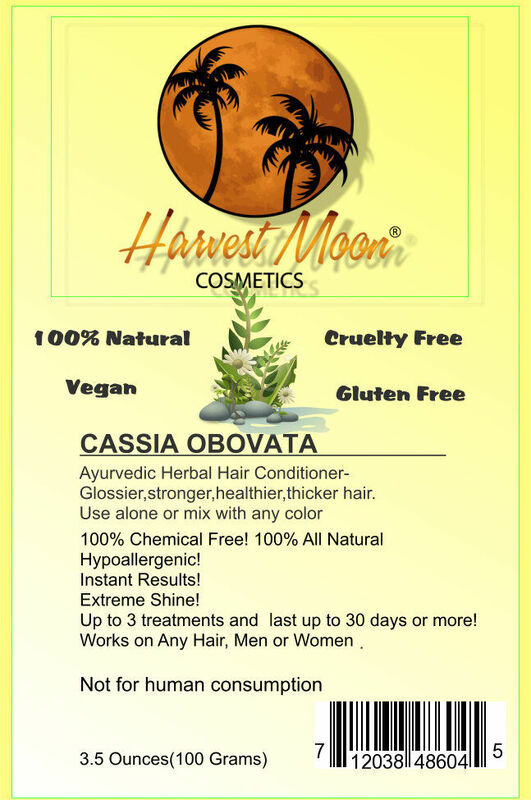 Harvest Moon Cassia Obovata has been used for thousands of years and as always is 100% natural and chemical free. If you have scalp conditions we recommend 1-4 times a month or 1 a month to keep your hair in line. It is a mud mask for the hair! Strengthen, condition and rejuvenate your scalp with this ancient hair and scalp remedy. After using cassia obovata the difference is amazing!